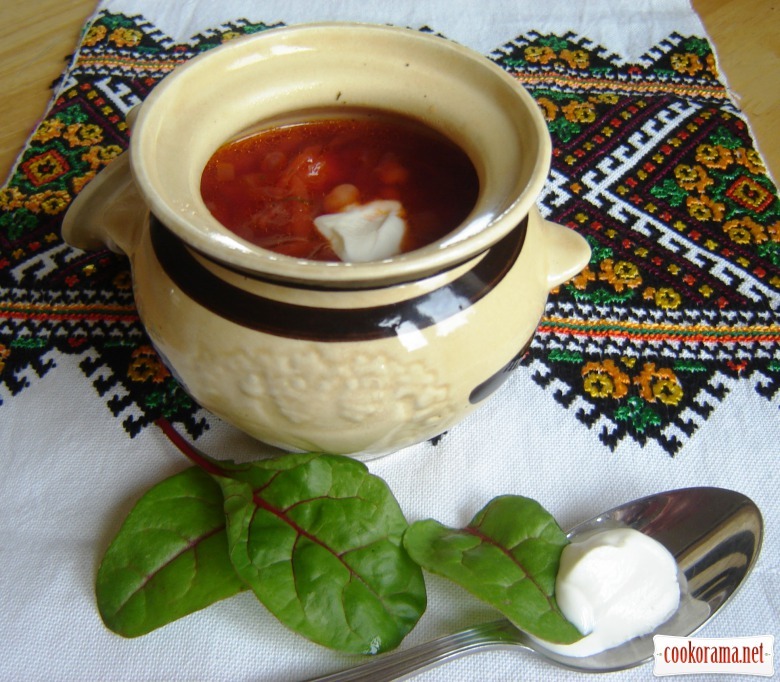 Recipe of lean borsch, a little bit new, in clay pots and in the oven. 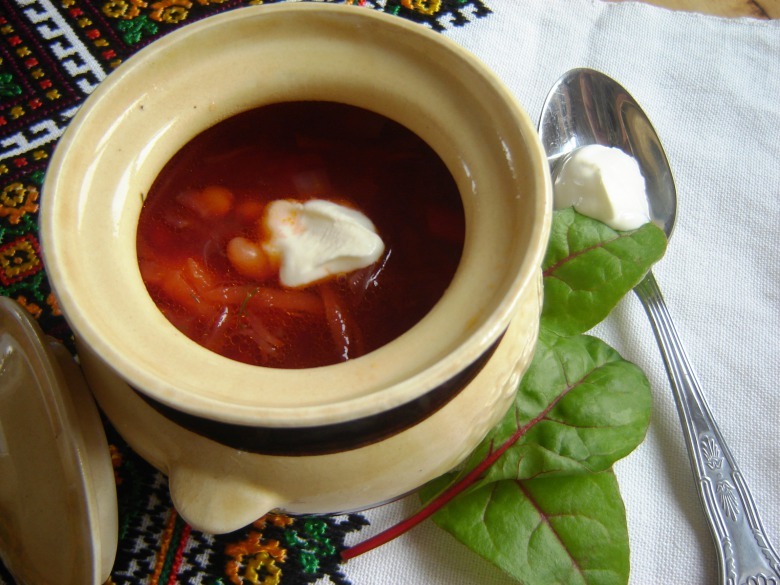 You can choose any vegetables on your own borsch recipe. Soak beans in water through the night, in morning cook until soft. (you can take the finished canned in tomato sauce or without). Peel and cut vegetables (excluding potatoes, beans and beets) slightly saute in oil. In half an hour until cooked add grated beets and chopped prunes. Bon appetite!!! Top of recipe "Lean borsch with prunes in clay pots"